I think I may have figured out how to make Panera’s bread Chipotle Mayonnaise spread for the Frontega chicken sandwich (which is super easy to make!) With 6 incredibly delicious ingredients (chicken pieces, fresh tomatoes, purple onions, mozzarella cheese, fresh basil leaves and one amazing chipotle sauce) this sandwich is really good! 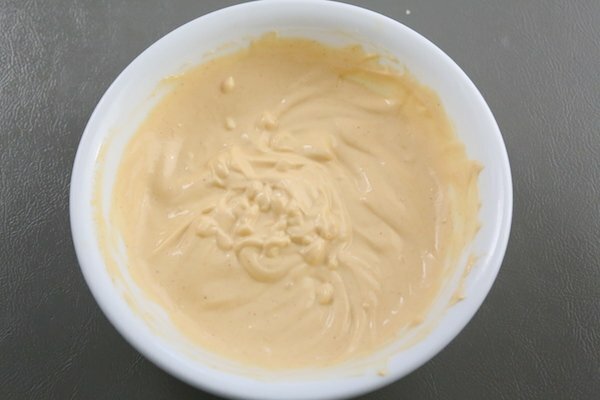 Combining Hellmann’s Organic spicy chipotle mayonnaise with sour cream really reminded of the chipotle mayo from Panera bread. I am convinced this so close to there sauce. The sour cream really mellows out the chipotle mayonnaise creating a pleasantly creamy spread that is not too spicy. I highly recommend a nice round focaccia loaf for these sandwiches, which you can actually purchase from Panera bread. Make these at home if you want to make more sandwiches for the money. Whisk together the chipotle mayonnaise and sour cream and set aside. 2. If using a round focaccia loaf, cut crosswise and spread a generous amount of the chipotle spread over each side. Top in the following order; chicken pieces, onion slices, cheese, tomatoes and fresh basil leaves. 3. Grill whole on a panini press over hi heat until cheese melts. Cut into 4 pieces and serve. If using a round focaccia loaf, cut crosswise and spread a generous amount of the chipotle spread over each side. Top in the following order; chicken pieces, onion slices, cheese, tomatoes and fresh basil leaves. Grill whole on a panini press over hi heat until cheese melts. Cut into 4 pieces and serve.